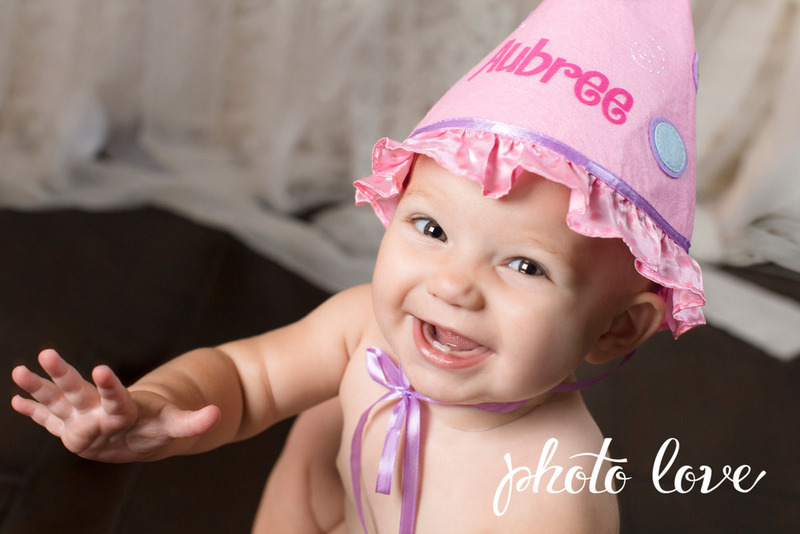 We recently had little baby Aubree in our studio for her first photo session. She was all smiles and had a blast posing for the camera! We loved all of the outfits and little accessories her mom brought to her session. Aubree looked totally chic in her peach onesie with matching headband, black beaded necklace and sparkly silver shoes! She really loved wearing her pink polka dotted hat with her name personalized on it. 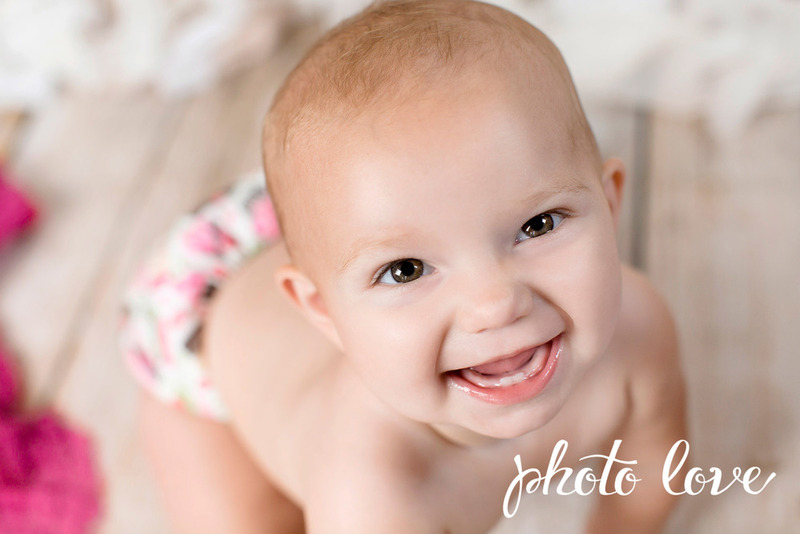 Kaity had a blast capturing her smile and all of her excitement! We can't wait to see this little one grow!